What is a simile? 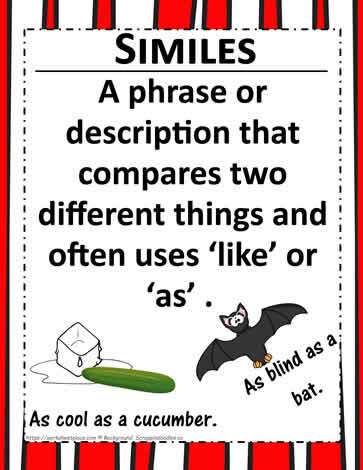 A simile is a phrase or description that compares two different things and often uses ‘like’ or ‘as’. A classroom poster for similes. A common simile is 'as cool as a cucumber'.